Office space in London does not have to break your company budget. 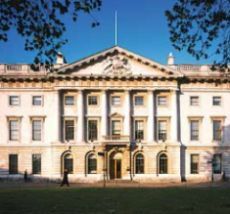 You can have not so expensive offices facilities at some of the best locations in London. Whether you want office space in the one square mile known as the City of London, or the many square miles known as Greater London, Telsec can find you that ideal office space. Many companies will offer office space to rent London, but they fail to mention if they are located inside the City of London or in the many wards and boroughs that make up Greater London. With a Serviced office space London, you can chose from many locations. From the “richest square mile” known as the City of London, the famous Piccadilly street (known for its famous traffic circle (Piccadilly Circus), the well known theatre district of London’s West End, to non descript locations throughout London. When seeking an office space in London, you not only have to consider location, but you have to consider the facilities and the furnishings. Opening a London office space also requires you to chose whether you want a fully furnished office in London, or if you want to add the expense of not only having to purchase furniture, but to have to shop for furniture that fits your office space. Taking away the need to shop and buy furniture is only part of the benefit of having a serviced office space London. Not having to shop for office equipment or a telephone system can also take away from the stress of renting an office in London. The marketplace is filled with office space rental London ads, finding the right office space that suits the need of your organization is the key to your success. One of the greatest savings you will find with a Telsec office space rental London, is that you do not need to hire someone to answer your important business calls. A professional receptionist takes your calls and handles them as per your instructions. This location is one of the most prestigious serviced office spaces in London. In a prime location, 1-6 Lombard Street offers some of the best serviced offices. In a prime location, Royal Mint Court is only 250 meters from Docklands Light Railway and Tower Hill underground Station on the Circle and District line. This center is situated opposite the Gherkin Piazza close to Liverpool St Station. The building is Grade II listed, with a unique reception area. With Morgate and Bank Underground stations close by, your serviced office will provide you with a modern, convenient, prestigious office base. This brand new business center is located in its own quiet courtyard, just off Bishopsgate, opposite the main entrance to Liverpool Street Station. Situated only a 2 minute walk from Bank Tube and 5 minutes to Liverpool Street Station, 125 Old Broad Street is in a superb location in the centre of town. 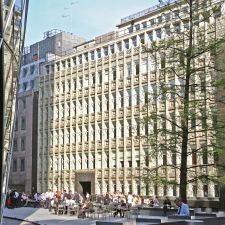 Situated in the heart of LondonÃ¢â‚¬â„¢s legal district, Fetter Lane is a fully refurbished business centre offering a variety of serviced office suites. Located just minutes away from Liverpool Street mainline and tube station, Devonshire Square is a fantastic business location.